Emergency Communication - Emergency Communication - Amateurfunk Club Deutschland e.V. We transmit around the world, across europe, or somestimes just around the corner. We morse, we transmit text, static and moving pictures, or use different variants of radio-telephony. We are activ at the frequencies form the kilohertz to terahertz region. We use our systemns at home, in the car, plane oder boat, as well as outdoors. Almost all devices can be operated with batteries, so we are independent of electricity networks. Millions of people and about 75 000 Germans make all this to their hobby. But we also operate emergency radio. With every great earthquake and a breakdown of the communication system the radio amateurs enables to connect the outside world and organize help. In many cases, amateur radio operators were the last resort for troubeled hiker or climber. Even in distress, some ships could only be saved by amateur radio. For major events, such as pope´s visits, the radio amaterurs are ready to complemet the communications channels of aid agencies, in cases when the channels are not sufficient. In large-scale power outages, when telepohne networks do not function after a very short time, the radio amateurs can create a connection between seeking assistance and fire department. We can do this because we are personally, professionally and technically able to do it and because we want to engage effectively our opportunities for the society. 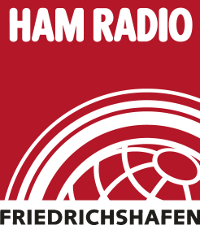 The Amateur Radio Club Germany deals intensively with emergency raido. Recently we have in Cologne a radio relay built that operates entirely independet of the mains, unter the callsign DB0CGN. The association aims to operate nationwide more repeaters or to takeover the operation of existing repeaters and to make them suitable for emergency radio and network-independence.